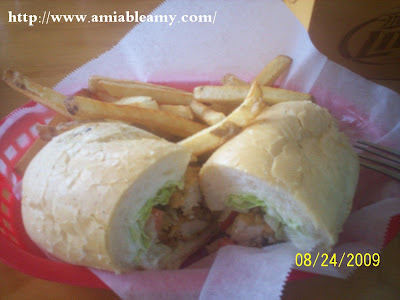 This is Oyster Po Boy with French Fries , a regular lunch for my husband. 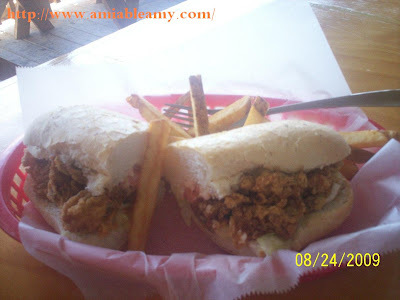 These Po Boy are common in the menu of so many restaurants in Mississippi. Inside are lettuce and tomato with mayonnaise. There are times that we are lazy to cook and so, we went to Snapper Seafood Restaurant. I ordered chicken Po Boy and the fries are already included. Being a Filipina, I need rice so, this is not my kind of regularmeal. I can eat this though but usually, half part only.